North Sydney is a suburb of Sydney’s lower North Shore, approximately 3 kilometres from Sydney’s CBD. North Sydney Court is in the heritage North Sydney Post Office building at the junction of the Pacific Hwy, Mount St and Miller St, and dates back to the late 1880s. North Sydney Station is served regularly by Cityrail trains on the North Shore and Macquarie Park lines.  Visit Sydney Criminal Lawyers® for Criminal & Traffic Lawyers for North Sydney Local Court.